Prop 64 legalized recreational marijuana in California. As simple as it seems it also called for regulation, taxes, and prison reform. As the state government adapts to the newly legalized industry, there has been confusion on what the proposition entails. Here’s a simple breakdown of Prop 64, no grinder needed. What is California Prop 64? In 2016, California voters approved Prop 64, officially known as the “Control, Regulate, and Tax Adult Use of Marijuana Act,” (AUMA) to legalize recreational cannabis use for adults 21 and over. The 276 pages that produce Prop 64 establish guidelines for the cannabis industry and its consumers in order to understand how to legally buy, sell, and grow recreational amounts of the substance. In addition, the measure created a system for regulating the industry, imposed taxes on the product, and decriminalized cannabis crimes. When does Prop 64 go into effect? The measure went into full effect starting January 1, 2018. What age can use recreational marijuana in California? Generally, Prop 64 allows recreational use of cannabis for anyone 21 and older to possess, transport, obtain, or gift one ounce (28.5 grams) of cannabis flower and eight grams of concentrated cannabis. As a long-standing law prior to Prop 64, medical marijuana users must be 18 years or older. How much recreational marijuana can I grow in California? Individuals can grow up to six cannabis plants for personal use on a private property, as long as the plant is not visible to the public. Who can buy recreational marijuana in California? In order to purchase cannabis, prop 64 says that an individual may be a resident or even a visitor as long as valid documentation is provided. Documentation may be in the form of a government issued ID or driver’s license from any state, a military ID, or a passport. In addition to providing documentation, individuals must only make transactions with state-licensed stores or delivery services. Where can people legally smoke marijuana in California? Cannabis users are only allowed smoke in a private residence or at a business licensed for on-site marijuana consumption – not while driving a car, in a public place, or anywhere that smoking tobacco is banned. The measure also prohibits consumer possession of cannabis on school grounds, day care centers, or youth centers. How is marijuana taxed in California? Prop 64 enforces 2 state taxes on cultivation and sales of both medical and recreational cannabis. The cultivation tax tolls $9.25 per ounce for flowers and $2.75 per ounce for leaves, while the new state excise tax requires dispensaries to charge 15% of the total retail price. Both revenues will go into the California Marijuana Tax Fund which would distribute a portion of the funds to specific purposes such as studying the risks and benefits of medical marijuana. The remaining revenue would benefit cannabis drug research, environmental damage from marijuana growth, programs to reduce DUI’s, and grant programs on public health and safety. Where can marijuana be sold in California? Cannabis businesses cannot be located within 600 feet of a school, day care centers, or youth centers and must ensure product is sold in child-resistant containers. Cannabis businesses also cannot sell tobacco or liquor, operate between the hours of 10 p.m. and 6 a.m., and must have 24-hour surveillance. How are cannabis products regulated in California? Prop 64 establishes standards for cannabis products including labeling, testing, packing, marketing and advertising cannabis. Edibles must be in serving sizes of no more than 10 milligrams of THC and 100 milligrams of THC for the whole package. Packaging also must include: net weight, origin, type of product, age, and if pesticides were used. Products can be promoted, but only where at least 71.6% of individuals are, “reasonably expected to be 21 years of age or older.” The measure also entails that counties and cities could regulate or ban nonmedical cannabis businesses and also regulate personal growth, possession, and use of cannabis. The measure also designates state agencies to license and regulate medical cannabis to ensure an uncontaminated tracking system from seed to sale. The newly renamed Bureau of Cannabis Control (BCC), and a handful of other state agencies, are responsible for these regulations, although the BCC is the leading agency accountable for regulating and licensing cannabis businesses. Additional state agencies that regulate the cannabis industry and their primary responsibilities include: the Department of Food and Agriculture to license and regulate medical cannabis growers, the Department of Public Health to license and regulate producers of edible cannabis products, the State Water Resources Control Board to regulate environmental impacts of cannabis growth on water quality, the Department of Fish and Wildlife to regulate environmental impacts of cannabis growing, and the Department of Pesticide Regulation to regulate pesticide use for cannabis growth. A breath of fresh air to many, Prop 64 changes the penalties enforced from cannabis crimes. The measure changes a use or possession charge of one ounce or less from a $100 fine for minors to a drug education or counseling program and complete community service. 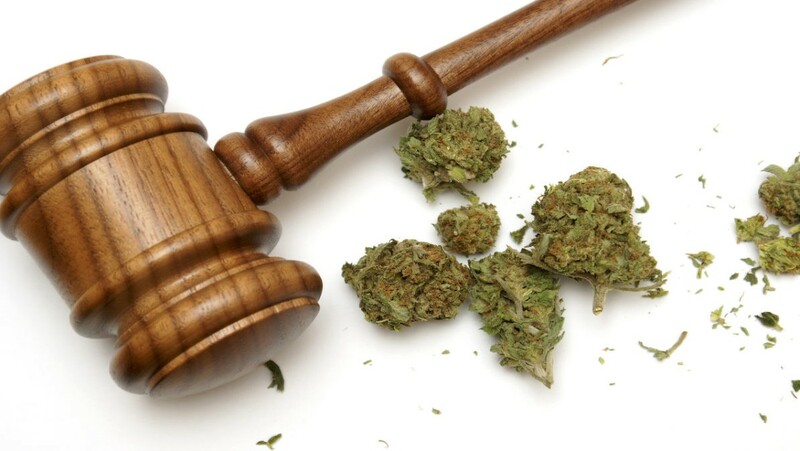 Another change in penalties would be decriminalizing the sale of nonmedical cannabis from four years in prison or jail to six months and or a $500 fine. Lastly, those who have been previously charged with cannabis crimes that are now made legal could be reduced or resentenced. For the most current information on California Proposition 64 visit here.